We all want comfort when it comes to dressing up, and this combination of a red coat and a Moschino red print leather crossbody bag is a wonderful example of that. Dress up your outfit with black suede over the knee boots. 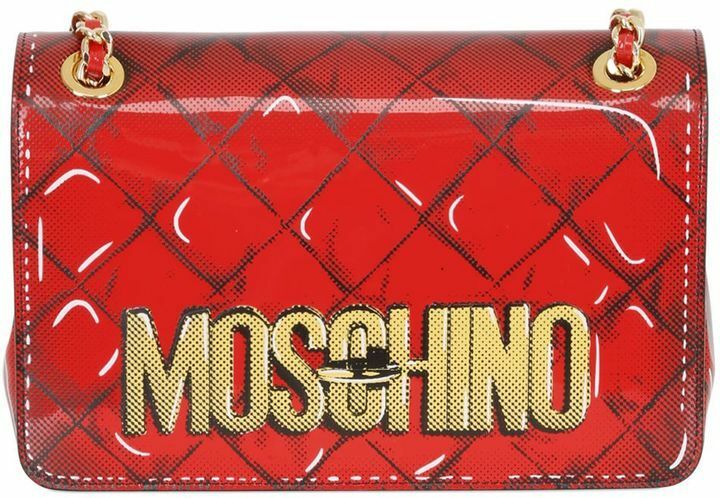 We all want comfort when it comes to dressing up, and this combination of a red crew-neck sweater and a Moschino red print leather crossbody bag is a great example of that.